As a qualified Hypnotherapy Practitioner in Basingstoke, Hampshire. 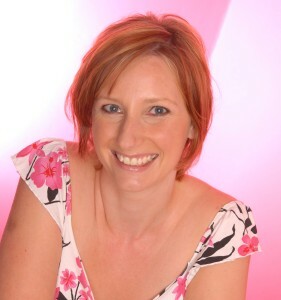 Helen runs the Basingstoke Hypnotherapy Practice. Treating symptoms and issues of an emotional and psychological nature, Helen uses natural and rapid technique’s. Hypnoanalysis, Clinical Hypnotherapy (Suggestion Therapy) mindfulness and beliefs work. Helen has a particular interest in treating all kinds of anxiety, depression and trauma and has a very successful record in treating many other issues including weight loss, fears & phobias social anxiety, sexual problems and many more issues. HYPNOANALYSIS is a simple, fast and effective technique at resolving anxiety issues, it’s safe, effective and permanent. It is very different to other therapies, uses a natural and effective technique. By letting go of the past, you can move on in life and think to the future. Generally about 8-12 sessions will be all that’s necessary to help you move on from your problems. Do you want to help yourself to get better, get your life back, have some fun and move forward? Are you fed up with feeling as though there is something inside you, but out of your control? Are you willing to put in effort and determination to resolve yourself of your symptoms? CLINICAL HYPNOTHERAPY & BELIEFS WORK are two fast and effective techniques used along side each other which teaches you how your brain works, and how to manage your thinking, changing limiting beliefs and understanding your unique personality. MINDFULNESS uses gentle exercises which calm and relax you, helping you to overcome nerves and helping you to deal with stress and anxiety. This fantastic technique then becomes an important part of your daily life, keeping you calm and relaxed in stressful situations. This is usually taught alongside the other therapies that Helen offers and generally only takes 1-2 sessions. Helen belongs to a Professional Organisation in Hypnotherapy, with a strict code of ethics. The IAEBP International Association for Evidence Based Psychotherapy .